There's a lot to love about the country of Montenegro, the very name of which sounds as though it has come straight from a fantasy novel. Find out why we think it's one of the most magical places on Earth. Sometimes there's a vibrancy to a green that can only be described as emerald, or a flair to a red that more closely resembles crimson. 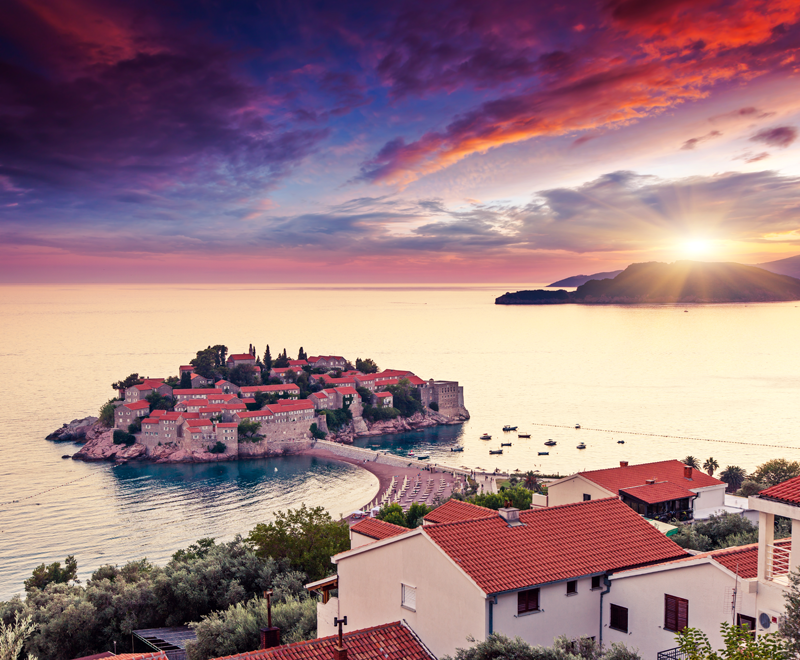 Throughout Montenegro's wild gorse-coloured mountains, Adriatic beaches and enticing cities, you'll find aquatic blue waters, vibrant violet flowers and terracotta orange roofs. Everywhere you look, there are incredible hues, spectrums and sights - this is a photographer's dream. Despite being less than half the size of Wales (the country, not the sea creature), Montenegro certainly packs a lot in. Deciding where to start is likely to be your biggest problem. With a landscape that plunges and soars like a drunken dragonfly, there are plenty of adrenaline-inducing experiences abound. White water rafting through the Durmitor national park is certainly a highlight - the narrow free-flowing valley is fringed with stunning trees of exactly the shade of emerald we mentioned earlier. Then there are glittering beaches to lie on, unique cities to explore and a one-of-a-kind culture to experience. One thing is certain - you won't be bored here. 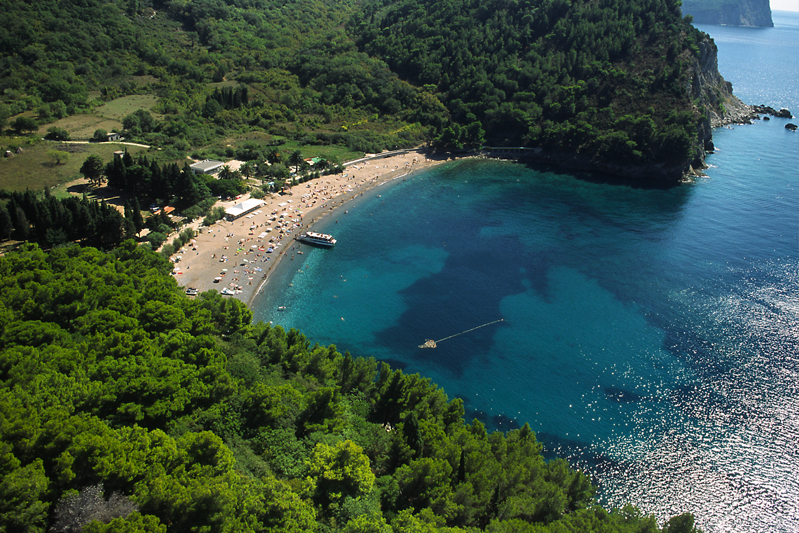 Spectacular stretches of coastline are something of a trademark for Montenegro. 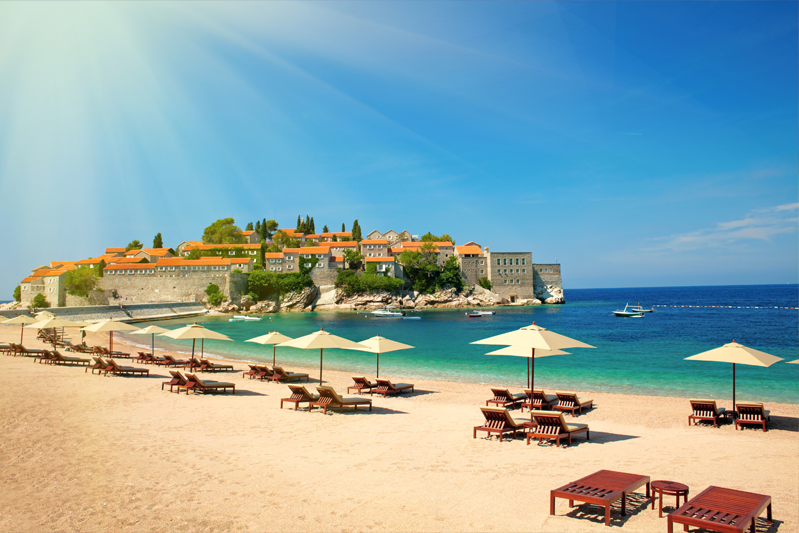 The resorts of Budva, Petrovac, Sveti Stefan and Becici attest to this in terms of extraordinary beauty - picture stunning white sand shelving away into a clear-turquoise ocean. Lying here, surrounded by nature and yet catered for by the modern amenities of a modern resort town, you'll feel completely at ease with yourself and the world - which is surely the best feeling a holiday can give you. Find out more about our range of Montenegro Holidays or book by visiting our Montenegro Holidays page.